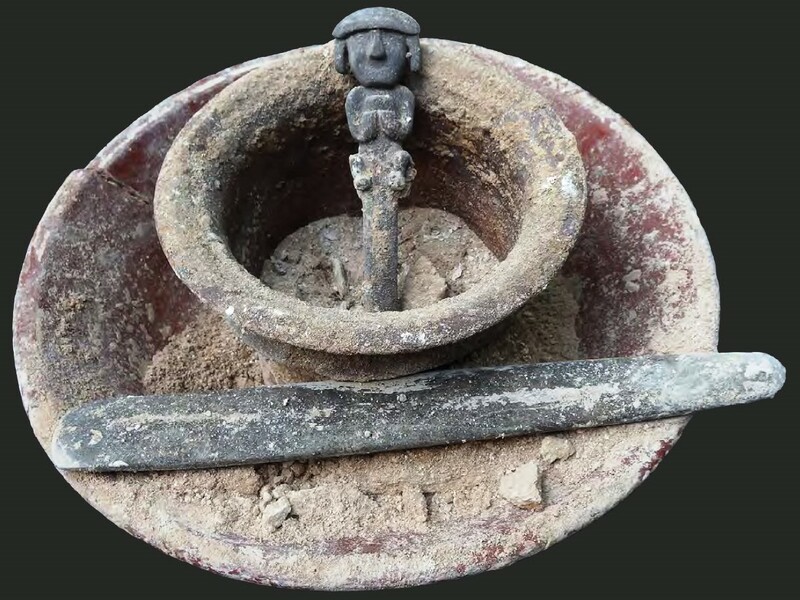 At the site of Uaxactun, Peten, Guatemala, Slovak archaeologists have uncovered an anthropomorphic scepter or ceremonial blood letter bearing the image of a king. The artifact, reported in the February 2016 edition of Mexicon, dates to ca. 10 BC. The object is carved from dark green stone and includes 23 finely incised pre-classic glyphs. These glyphs are some of the earliest known writing in the Maya lowlands. The pointed shaft is not sharp enough to have functioned effectively as a perforator, but the concave cavity on the back of the figure's head probably functioned like a spoon to hold the king's own blood offered as a sacrifice on behalf of his people. The cultural practice of auto-sacrifice, described in Alma 34:11, was widespread among Mesoamerican royalty. 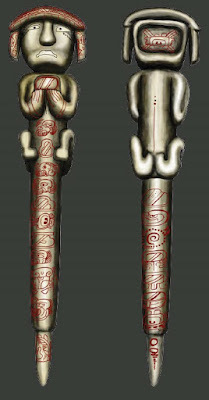 The scepter or blood letter was part of a ritual cache oriented to the cardinal directions. The cache included a ceremonial celt or axe, a jade bead, and a zoomorphic figurine in an offering bowl. The jade bead represented life and resurrection. See the blog article "Partake of the Fruit." 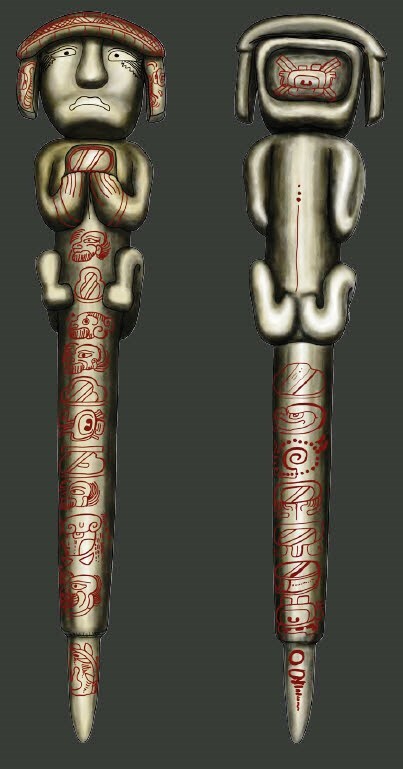 The scepter or blood letter shows little Olmec influence in contrast to earlier artifacts from Uaxactun. 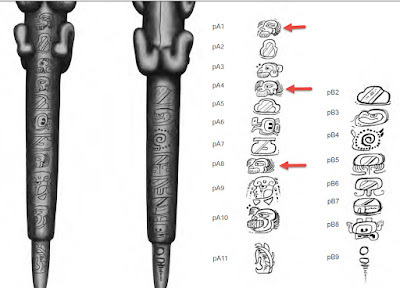 Its writing is clearly antecedent to the well-known later Classic Maya script. Its imagery includes avian, serpent, and lightning symbolism. Three of the 23 incised glyphs are the "bearded old man" glyph (viejo barbudo) known from other late Preclassic inscriptions. Bearded figures are relatively more frequent in Preclassic (prior to AD 250) than in later times. For context, see point #10 in the article "Top 10 Archaeological Evidences for the Book of Mormon."